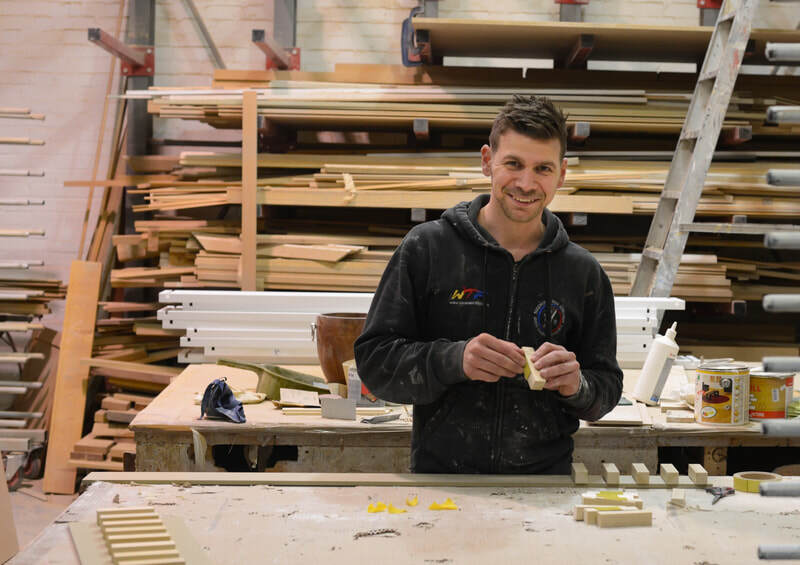 Ian started his career in cabinet-making on graduating from the LSE in Medieval history. After studying at the London College of Furniture and an apprenticeship with a joinery firm in Chalk Farm, he set up Ian Dunn Woodwork and Design in 1981. Having been established in our workshop in Stannary Street, Kennington for 18 years we moved to a larger, more modern workshop in East Dulwich in 2004. The new workshop is fully equipped and we have a team of skilled craftsmen working with Ian to produce each commission. The office and design studio located above the workshop are managed by Ian’s wife and business partner, Jacqui Gordon. We are experienced in working in both domestic and commercial environments and provide a high level of expertise to all our clients. We provide competitive production from detailed specifications to complete project management. 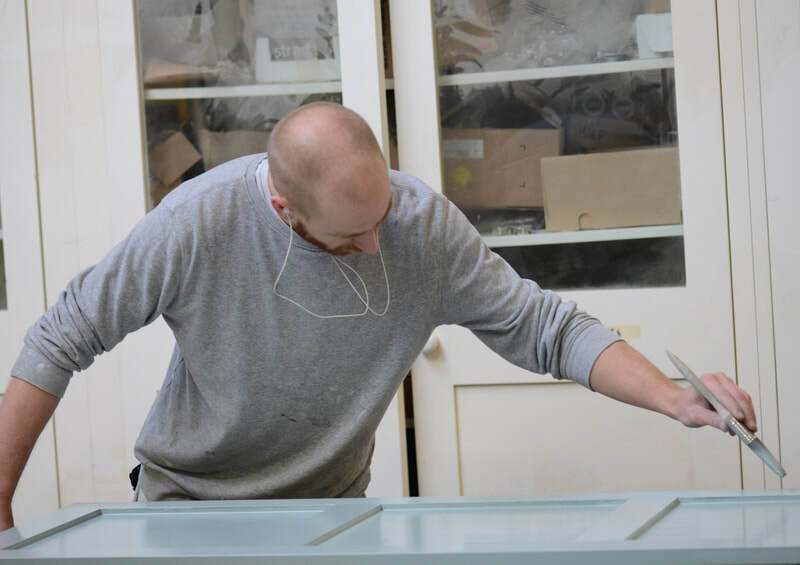 This includes creating a wide variety of bespoke cabinets, unique fitted and freestanding furniture along with supplying appliances, work surfaces, glass and lighting. As a testament to our ability to produce exactly what our clients want, most of our work comes from existing clients or recommendations. We are longstanding members of the Guild of Master Craftsmen. After the work is completed we will arrange a free visit to attend to any snagging with the cabinetry and fittings. After the first year of the work being completed we will be happy to attend to any minor issues to deal with adjusting drawers and cabinets. Anything larger we can arrange to complete at a date and time that suits you. ​any aspect of your project that might need resolving. We are an independent British business. ​that lasts you a lifetime. Bespoke offers you the choice to have a unique design entirely tailored to your space, taste and plan. Our in-house interior design team offers a library of knowledge to enable your ideas to be realised. We are experienced with traditional and modern styles. This enables us to offer your project a wide range of possibilities, listening to your ideas and offering solutions and advice. The opening plan is carefully considered to deliver your needs. ​A bespoke service ensures your project is managed from start to finish, from your initial enquiry through to installation. 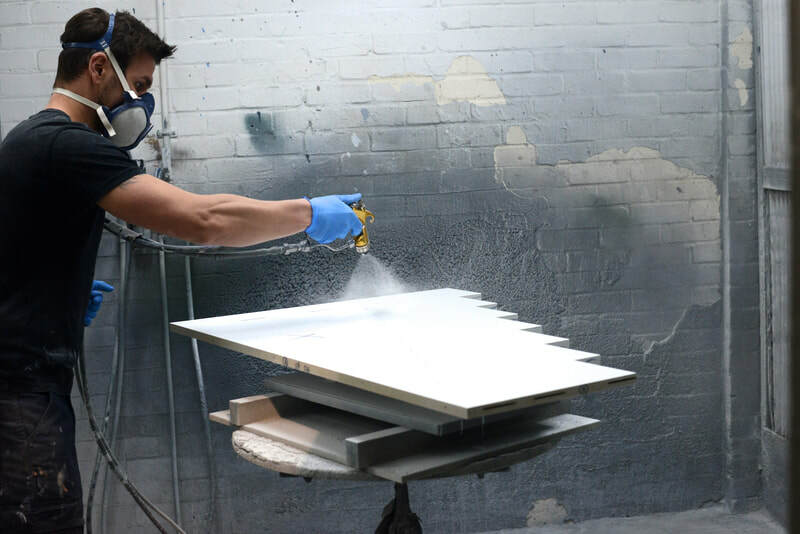 Every project is hand crafted to the highest possible standard in our East Dulwich workshop. Our bespoke kitchens and furniture are suited to clients who desire a hand crafted piece of work that is of superior quality. 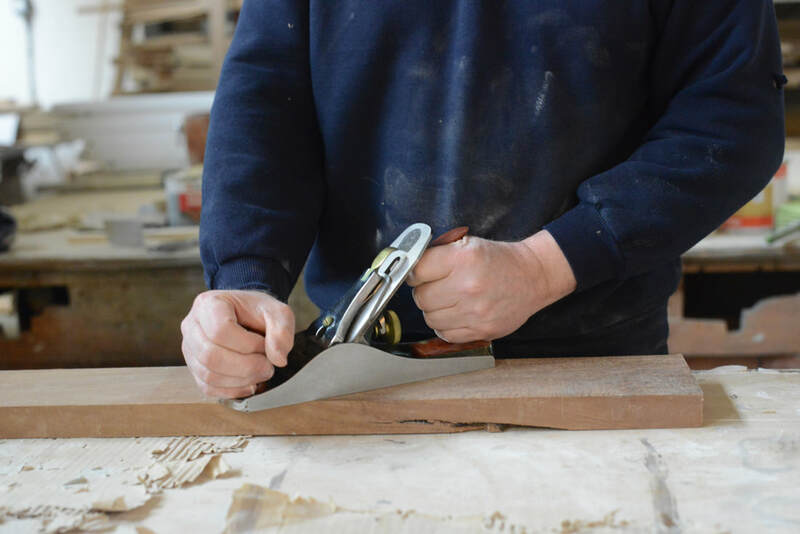 We work alongside architects, designers and the specialist trades and our expertise allows us to create furniture that delivers on style as well as functionality, using the latest in cutting edge technology. We only use timber from responsible suppliers with FSC, PEFC or SFI certifications. A very big thanks to Fresh Cut Creative who put a lot of hours into making this great video. Copyright © JGW&D Ltd trading as Ian Dunn Woodwork and Design 2019. All Rights Reserved.